The governor recently appointed Raymer Maguire III to a second tour of duty as Valencia College trustee. Maguire, an eminent domain attorney with Maguire Lassman P.A., serves on the boards of the Central Care Mission and the Youth Ministry Institute. He graduated from the University of Florida with honors and earned his law degree from Florida State University College of Law. 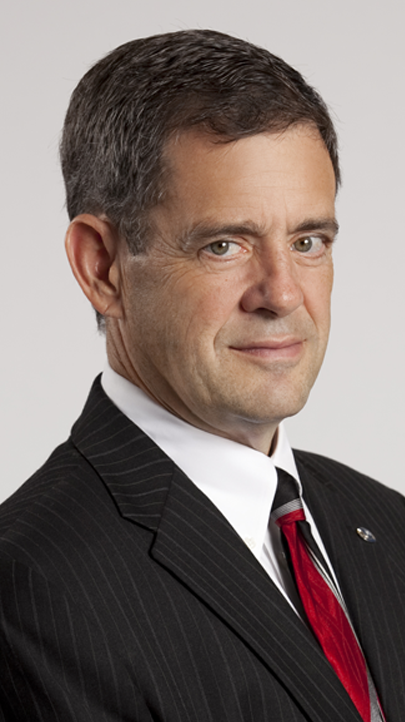 Maguire previously served on the trustee board from 2006 to 2011. He has led the Valencia Foundation board for more than 15 years as director, campaign captain and board chair. Having worked with Raymer for the past 13 years, I have witnessed his gifts. He brings with him a candor, a clear sightedness, a questioning mind and an efficiency in accomplishing a goal, no matter how grand it is. In fact, when the foundation board was envisioning its first capital campaign a decade ago and received a feasibility study that suggested a $7 million to $12 million goal, Raymer challenged assumptions and challenged his fellow board members to think bigger. He said if we weren’t willing to shoot for $20 million, we might as well not bother. His instincts were correct: The board and campaign raised $27.3 million, 10 percent of which came from board leaders. 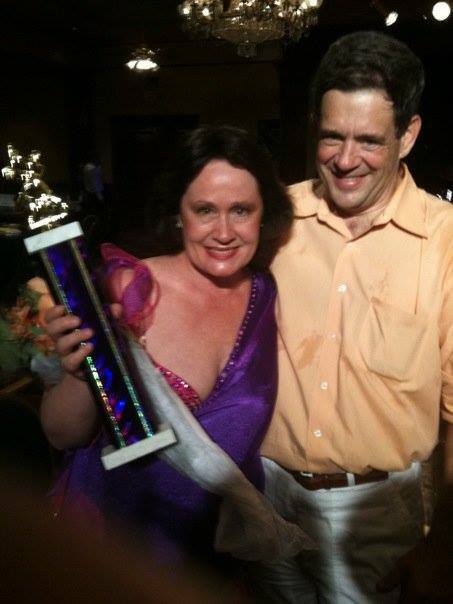 Dean Maguire and her husband, Raymer III, with her First Place trophy. Charitable giving and philanthropy are a family affair. Dean Maguire, an OCPS educator and Raymer’s bride, served as Valencia College’s VIP Star in the Femmes de Coeur “Lettuce Entertain You” fundraiser for nursing scholarships. Not surprisingly, Dean prevailed over dancers from UCF, Seminole State and Florida Hospital School of Nursing. His father, Raymer Maguire Jr., helped found Valencia Community College and served on the board of trustees for 17 years. He also wrote the charter for Valencia Foundation in 1974, offering leadership and philanthropy for the rest of his lifetime. When I first arrived in Central Florida, Raymer Jr. escorted me about town to help me meet business and community leaders, and provided thoughtful insight and guidance. The entire Maguire family has made substantial investments in student learning and academic excellence at Valencia through scholarships and faculty chairs. Shortly after he passed away, the Association of Fundraising Professionals recognized Mr. Maguire as Philanthropist of the Year for Central Florida. Scarcely can you venture throughout Central Florida without finding a street or building with the Maguire moniker. 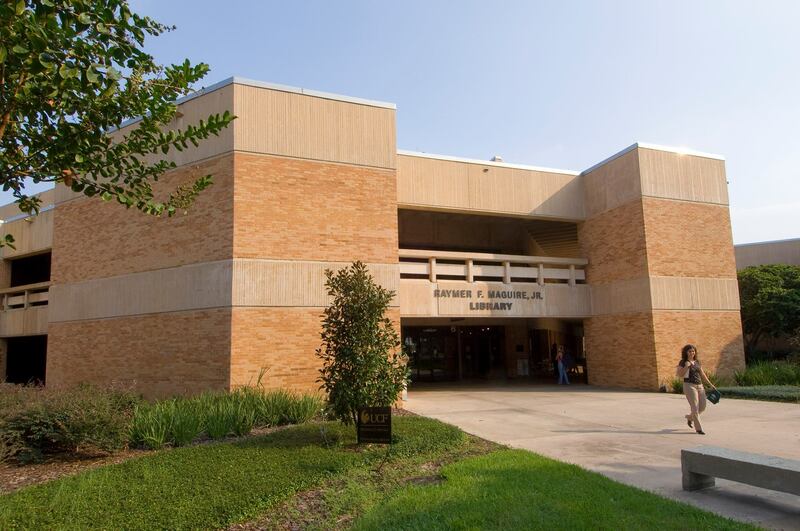 Valencia’s West Campus Library is named in honor of Raymer Maguire Jr. He has long been known as the Father of Valencia Community College. Together with a band of determined community leaders, he demanded in the 1960s that higher education be available no matter your race, creed, means or family background. In that decade, the local private junior college would not admit students of color, Catholics or Jews. Mr. Maguire, also an attorney, called his philanthropy and service “paying your civic rent,” and encouraged his colleagues, friends and neighbors to do their share. His generosity extended to many local organizations and prolifically to his alma mater, the University of Florida. Today and for some two decades, his son Raymer III has been expanding the family legacy through his own generosity of time, talent, treasures and volunteerism on the Valencia Foundation and Valencia trustee boards. Our genuine gratitude goes to the entire Maguire family for transforming the face of Central Florida forever.